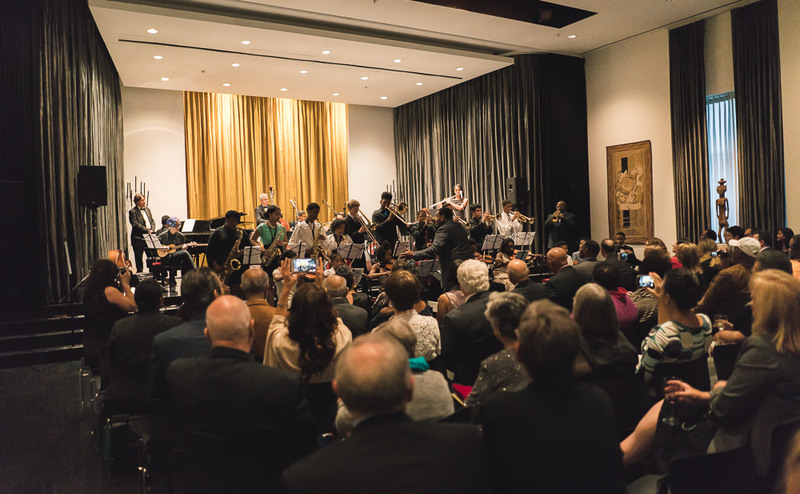 An evening of music and celebration to raise funds for Chicago Jazz Philharmonic’s performance and education programs – locally and globally. 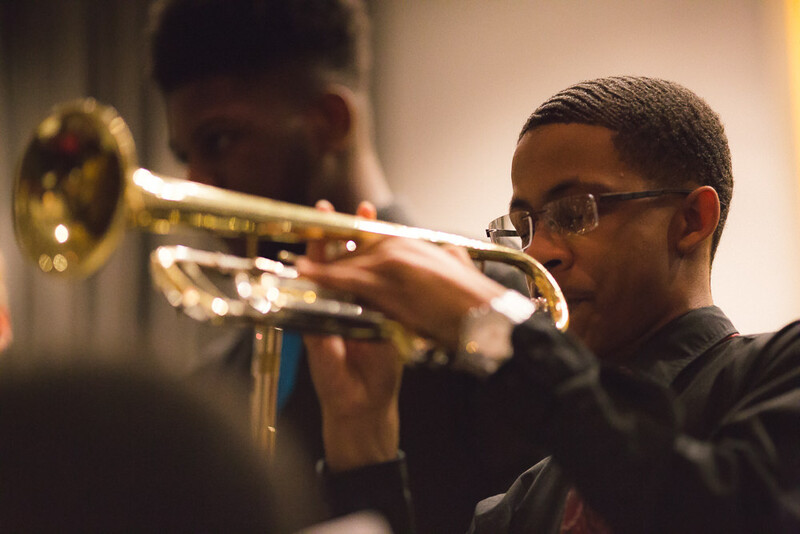 Musicians from both CJP’s professional and youth ensembles, plus special guests, will celebrate CJP’s current year of FREE programming aimed to build bridges across communities, cultures, and audiences – in Chicago and around the world. 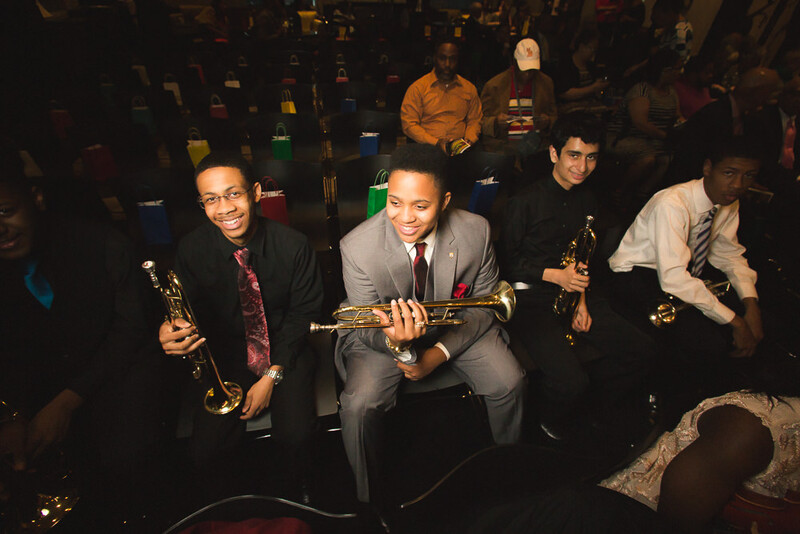 April 23, 2018 – CHICAGO ILLINOIS Chicago Jazz Philharmonic will host its annual “Think Big” Gala on Thursday, May 17 at the Arts Club of Chicago, located at 201 East Ontario Street in Chicago. 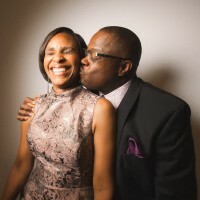 The organization will present the “Think Big” award to Sandra and Jack Guthman, who for decades have been leaders in Chicago’s philanthropic and cultural communities. 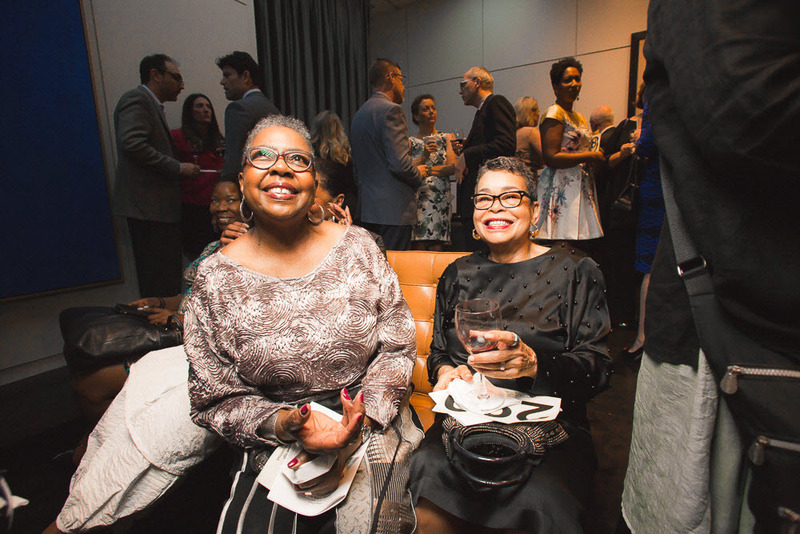 The honorees have both personally, and through their philanthropic arms, supported Chicago Jazz Philharmonic’s music education programs since its inception. The “Think Big” Award is presented to individuals who represents the visionary, “can-do” spirit that led to the orchestra’s birth. 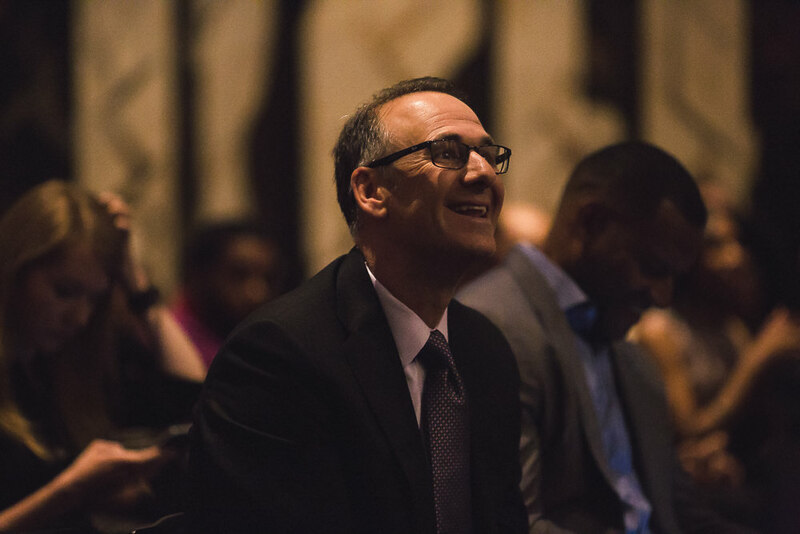 Former recipients include Lauren Deutsch, former Executive Director of the Jazz Institute of Chicago; James Newcomb, a Senior Director at The Boeing Company; and Brett Batterson, former Executive Director of the Auditorium Theatre of Roosevelt University. 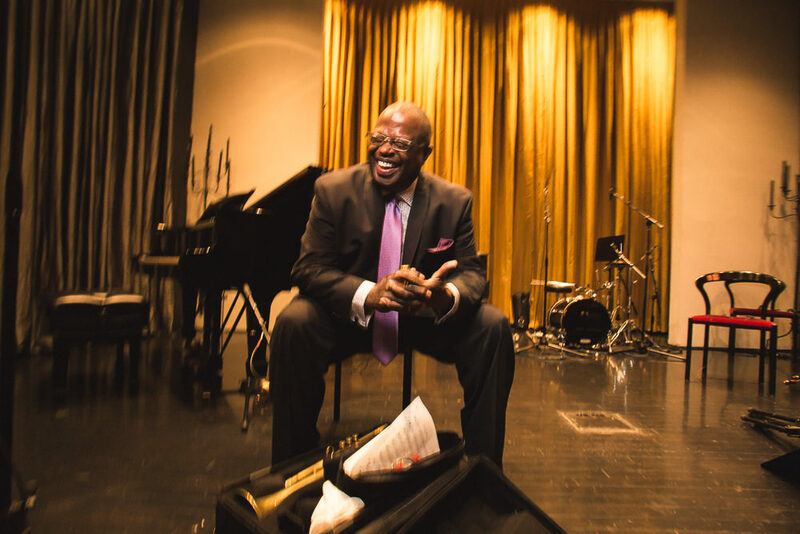 “Orbert Davis and the Chicago Jazz Philharmonic have been instrumental in bringing quality music education and creating a love of jazz to so many Chicago youth. 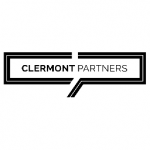 It is an honor to be associated with this highly effective organization”, said the Guthmans. 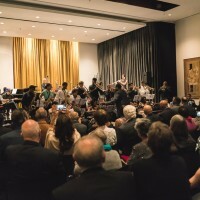 The gala event, themed “Building Bridges,” will also feature performances from musicians involved in the upcoming World Premiere, “Chicago Immigrant Stories.” This premiere will take place on June 14 as part of the organization’s “Year of Free Programming.” The season concludes with two more concerts in Millennium Park on July 16 and August 29. 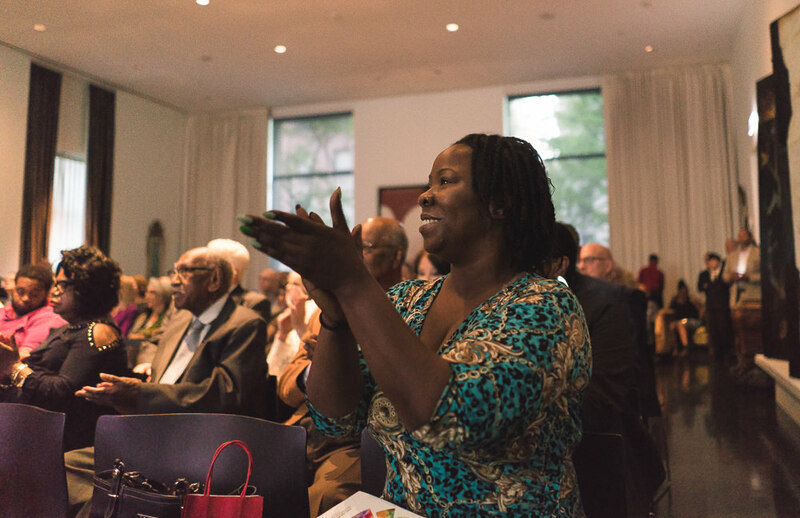 “We are looking forward to celebrating and engaging multiple communities from throughout Chicago this summer and beyond,” added Birdie Soti, Executive Director. 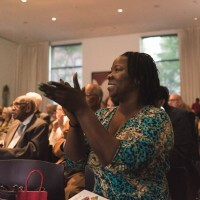 The performance and program will be followed by dinner catered by the Arts Club of Chicago. 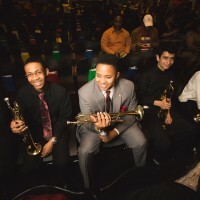 Proceeds from this event will support future Chicago Jazz Philharmonic performances and education programs. The Gala is sponsored by David Kistenbrocker and Cynthia Heusing, the Ferguson-Yntema Family Charitable Trust, Southwest Airlines, Northern Trust Charitable Trust, Discover Music Discover Life (DMDL), Inspire Bliss Coaching and Consulting, and Michael Allaway and Lynn LaPlante. Sandra Guthman has been Chair of Board of Directors of the Polk Bros. Foundation since 1988 and served as its CEO from 1993 to 2012. 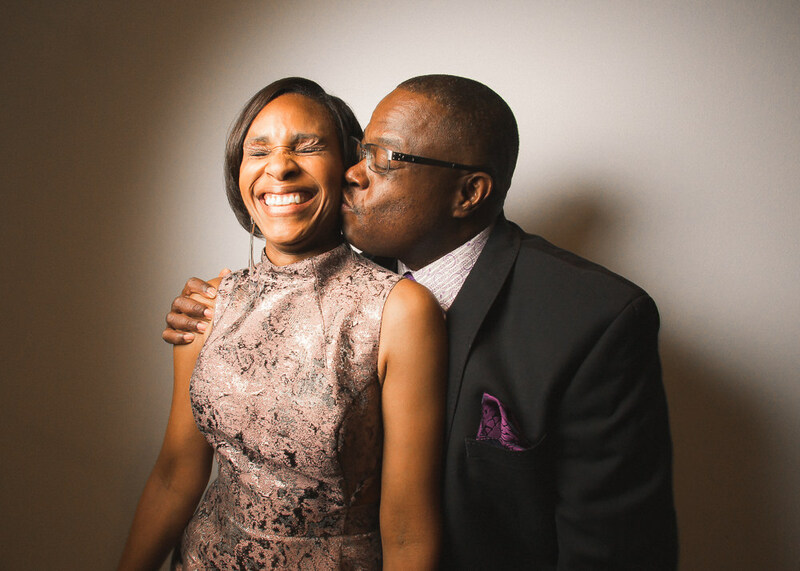 The Polk Bros. Foundation is a private foundation that has made over $300 million dollars in grants for direct services that impact inner-city children, youth and families in Chicago. Most recently, the Foundation made a major legacy gift towards the Navy Pier redevelopment project resulting in the Polk Bros. Park. Prior to 1993, Mrs. Guthman spent 28 years with IBM Corp. in various marketing capacities, including branch manager and Director of Marketing for the Midwest. 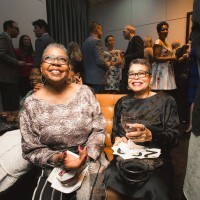 She serves on the boards of Chicago High School for the Arts (ChiArts), Northern Institutional Funds and Northern Funds, Rush University Medical Center, as Chair Emerita of the board of the Harris Theater for Music and Dance, former Chairman of the board of Window to the World Communications WTTW/Channel 11 and WFMT98.7, and is a Life Director of Hubbard Street Dance Chicago. Mrs. Guthman was formerly a member of the Founders Committee for Millennium Park, Chicago, Chair of the Executive Committee of the Civic Consulting Alliance and is currently a member of the Business Leadership Council of Wellesley College, The Chicago Network, the Commercial Club of Chicago and The Economic Club of Chicago. Jack Guthman is a land use/zoning lawyer who has acted as counsel for private developers of more than 50 million square feet of major Chicago properties. 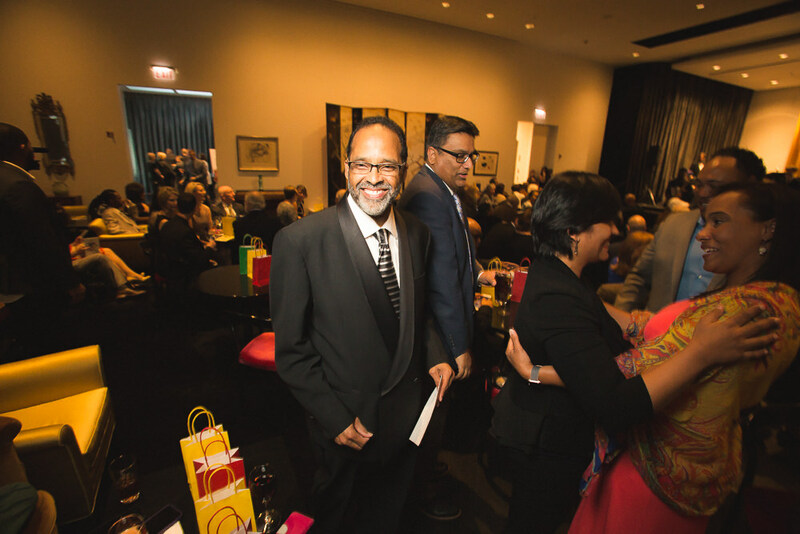 He also served for 17 years as a member of the Chicago Zoning Board of Appeals, the last 12 as its chairman. 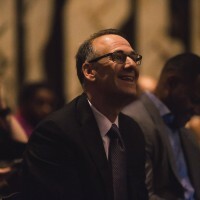 Mr. Guthman speaks frequently before real estate audiences and for many years served as an adjunct professor at the Northwestern University Kellogg School of Management and the Illinois Institute of Technology College of Architecture. He has also spearheaded a host of pro bono assignments in the land use area on behalf of a wide array of not-for-profit institutions. 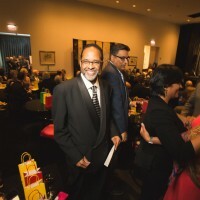 He was inducted into the Chicago Association of Realtors’ Hall of Fame in recognition of his outstanding contributions to the field. He has served on the boards of numerous civic, arts and philanthropic organizations, is currently the chairman of the Chicago Architecture Biennial and a board member of the Museum of Contemporary Art Chicago, United States Artists and the Chicago Architecture Foundation. 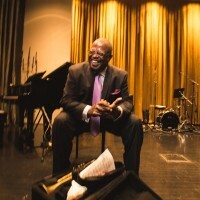 ABOUT CHICAGO JAZZ PHILHARMONICFounded in 2004 by Orbert Davis and Mark Ingram as America’s definitive “Third Stream” orchestra, Chicago Jazz Philharmonic provides rich, accessible, multi-cultural music experiences that bridge gaps in jazz and classical genres. 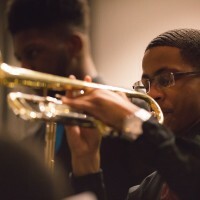 The CJP performs works from the standard jazz big band to the classical symphony, while creating a “new aesthetic” in cross-genre collaborations. 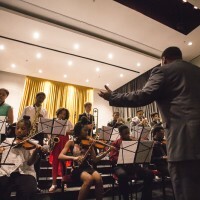 The organization also provides music education through Jazz Alive, a weekly music and band education program for Chicago Public School students, and the Summer Jazz Academy, a two-week immersion program in music theory and practice. 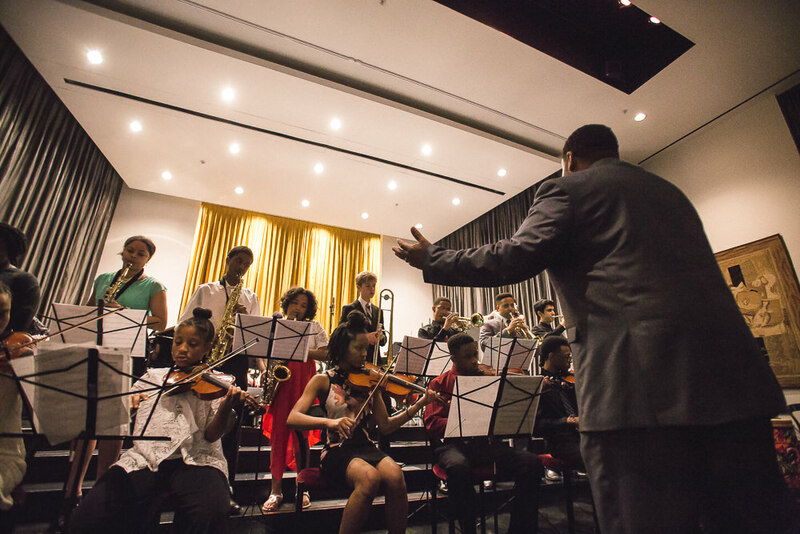 Chicago Jazz Philharmonic performances entertain and inspire, and the community-based education programs improve lives from school age through adulthood.